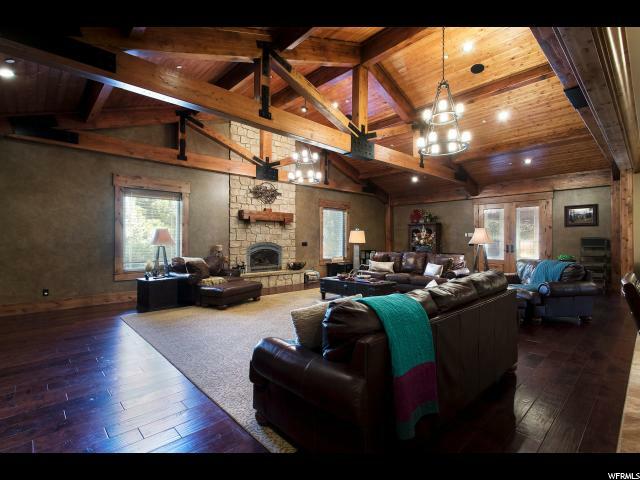 As you enter, it's clear that every detail was considered from the layout of custom outbuildings to the home's exposed beams, gourmet kitchen and spacious master bedroom suite. 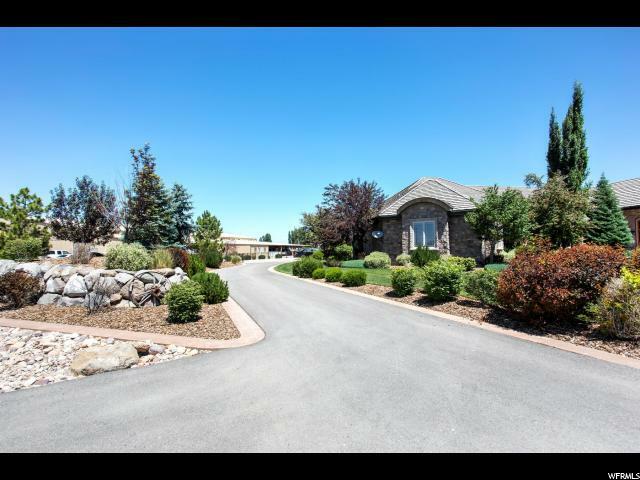 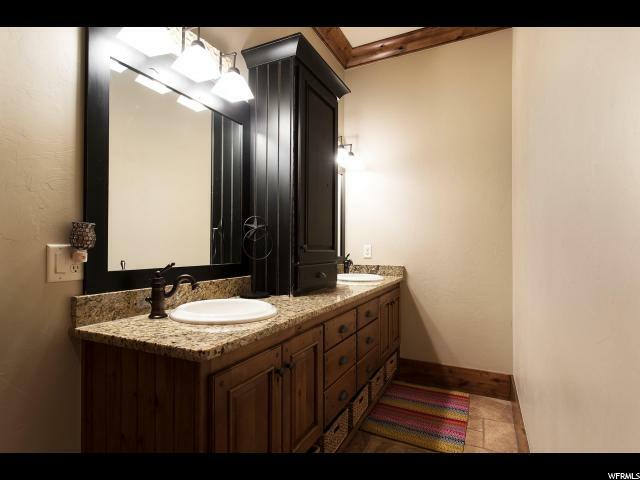 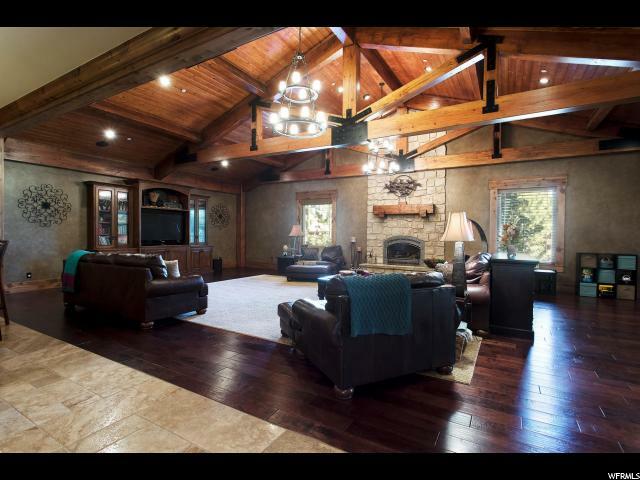 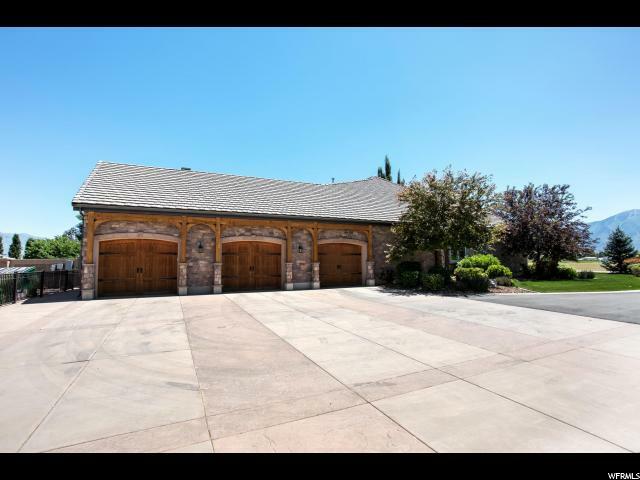 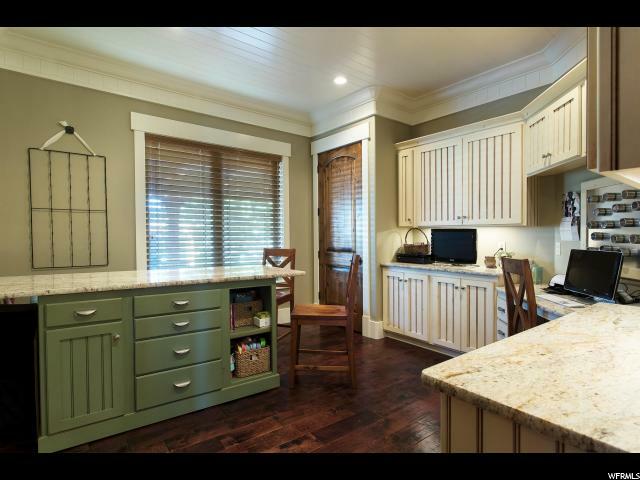 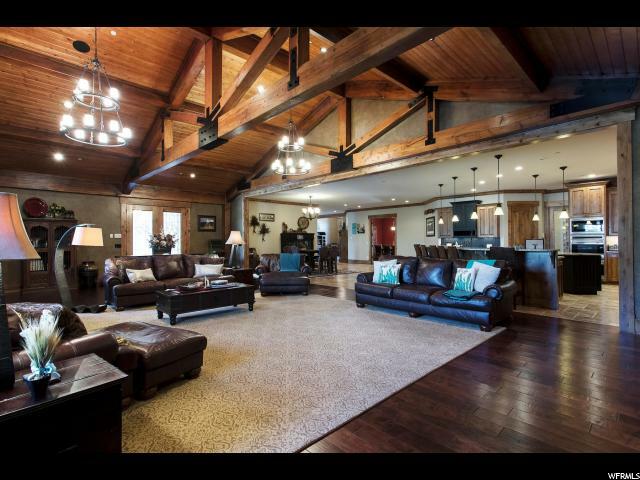 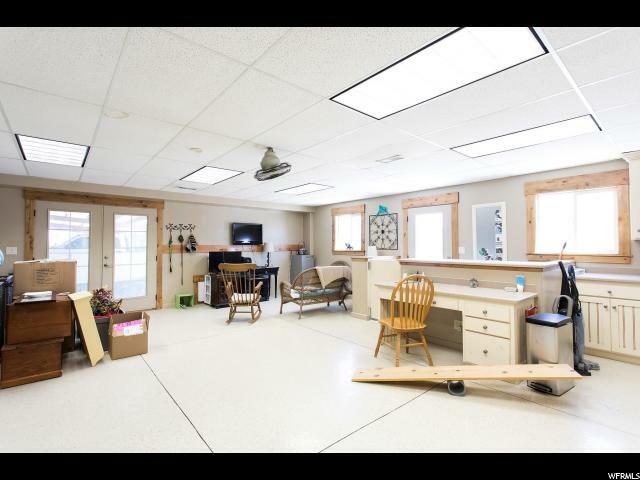 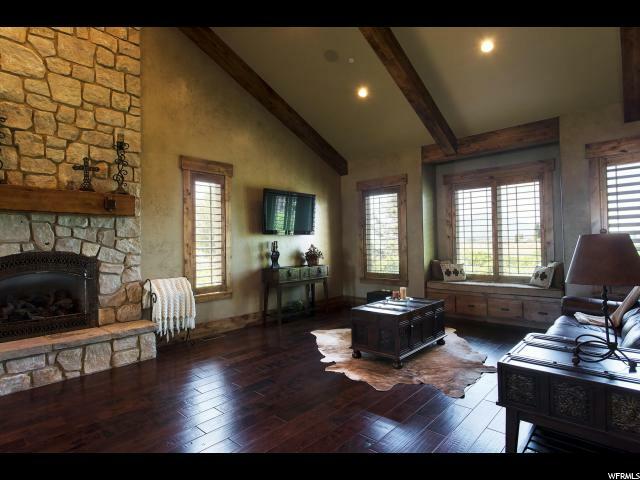 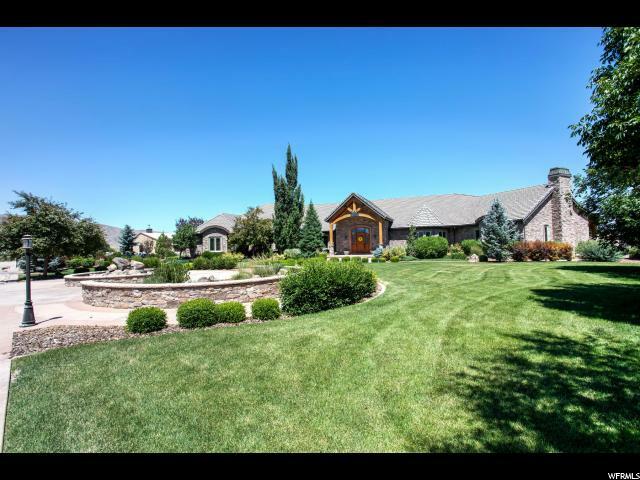 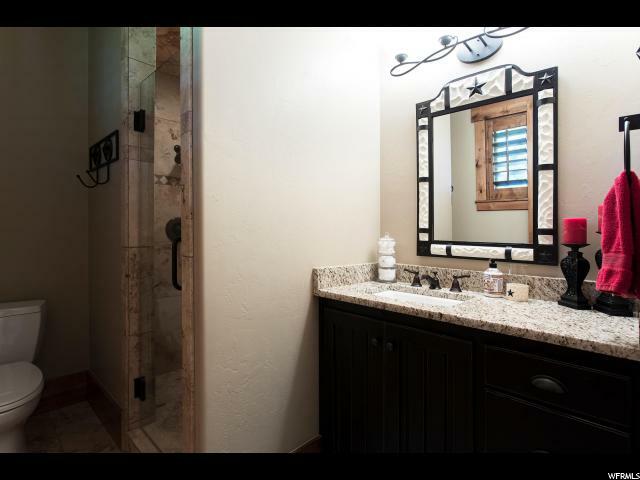 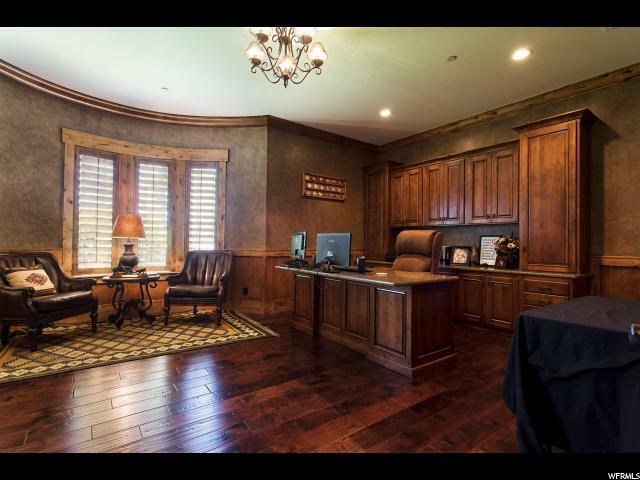 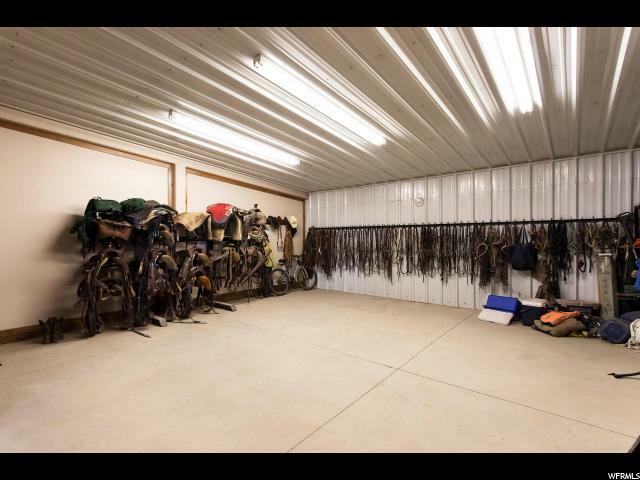 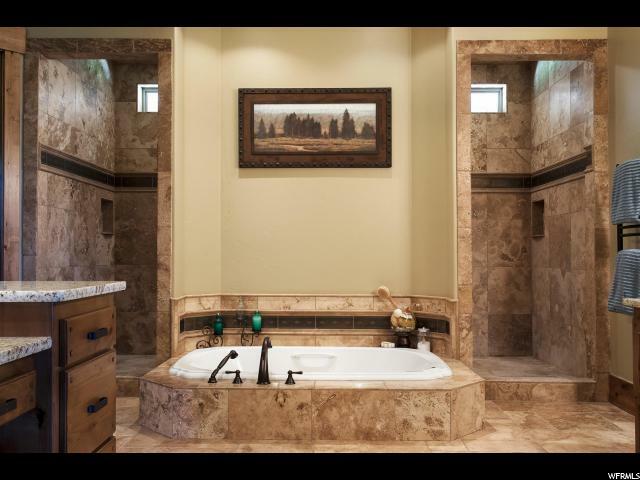 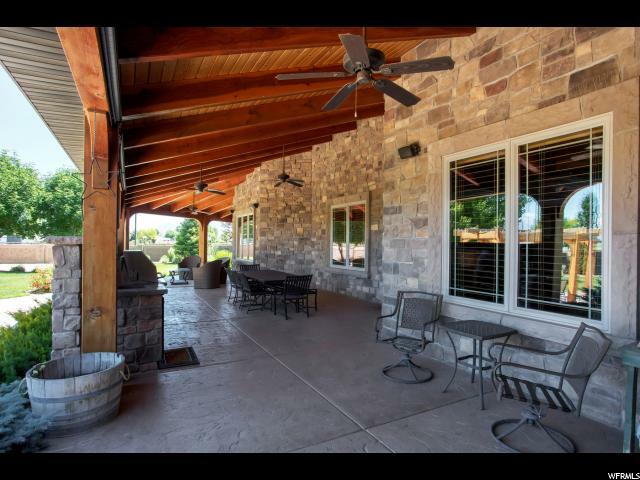 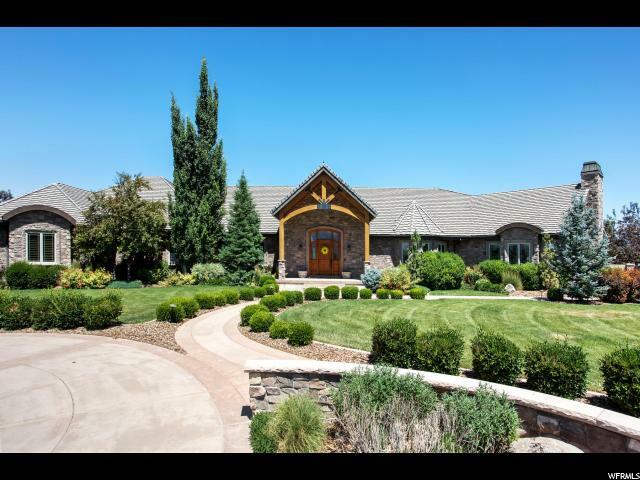 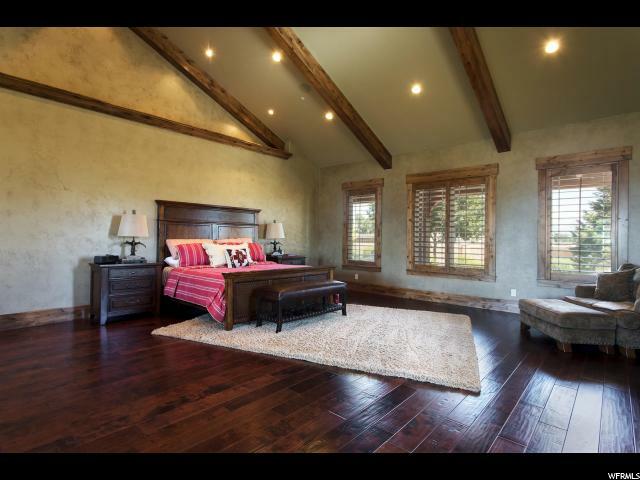 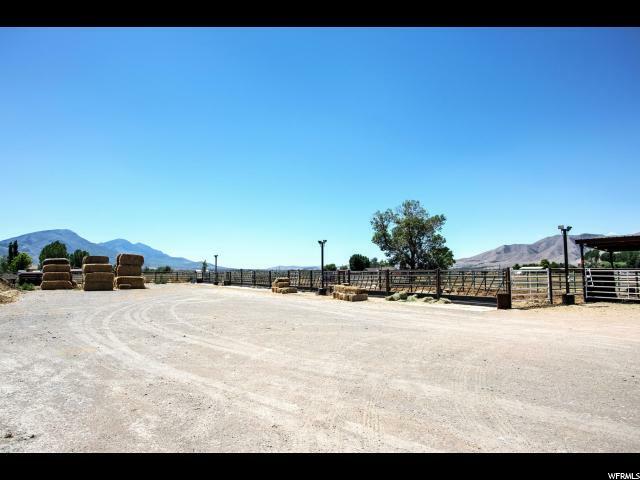 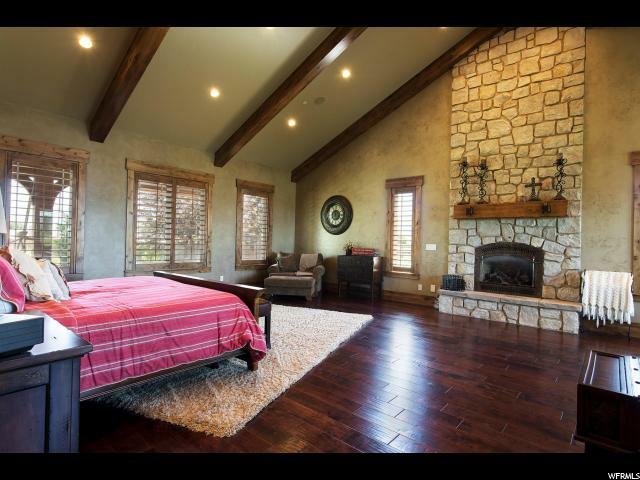 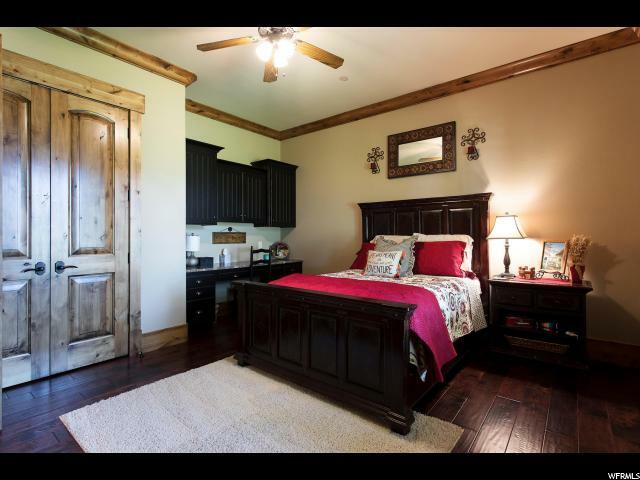 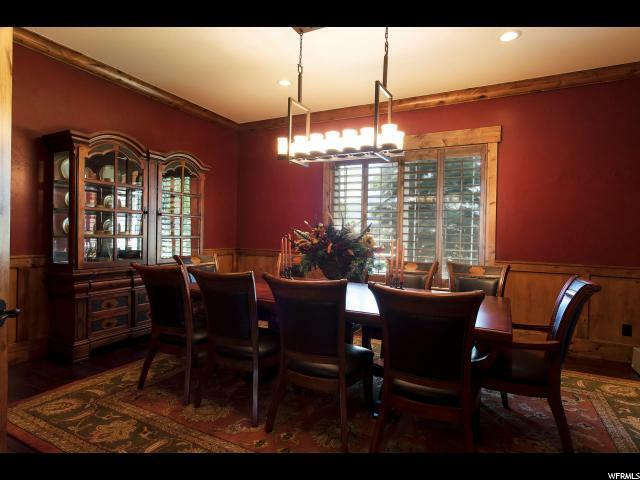 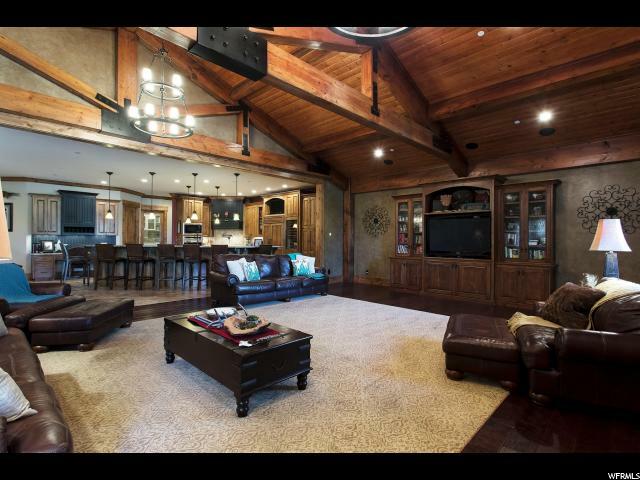 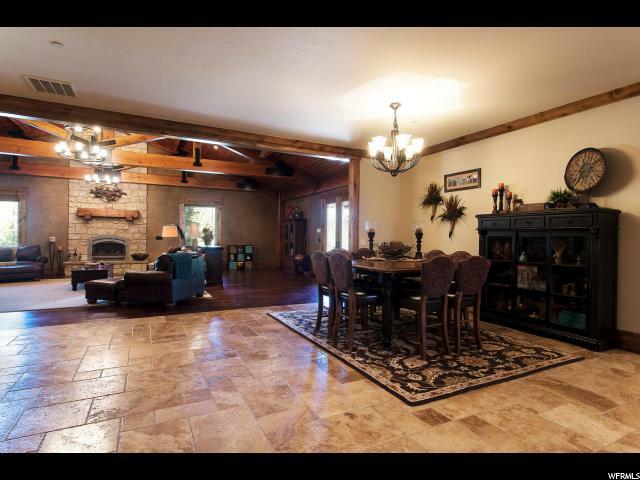 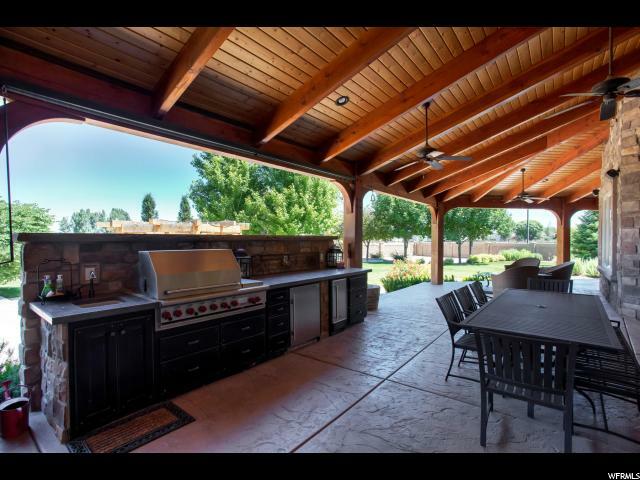 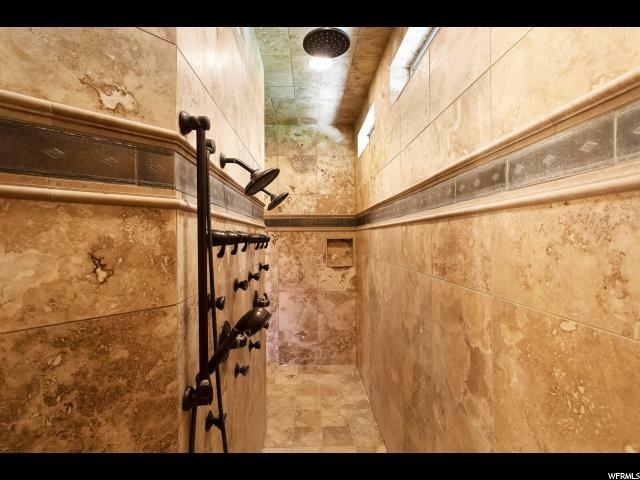 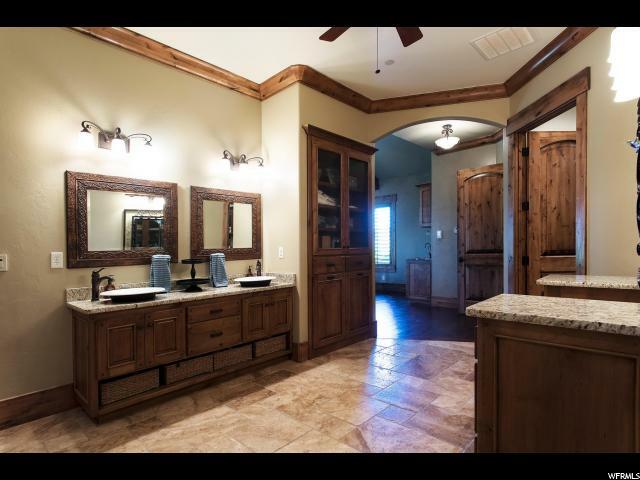 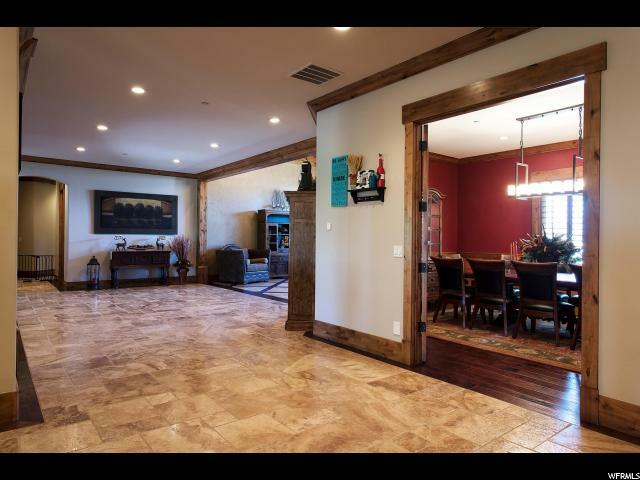 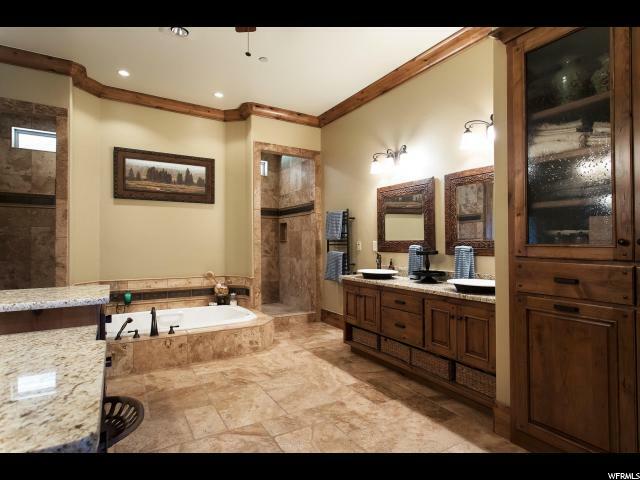 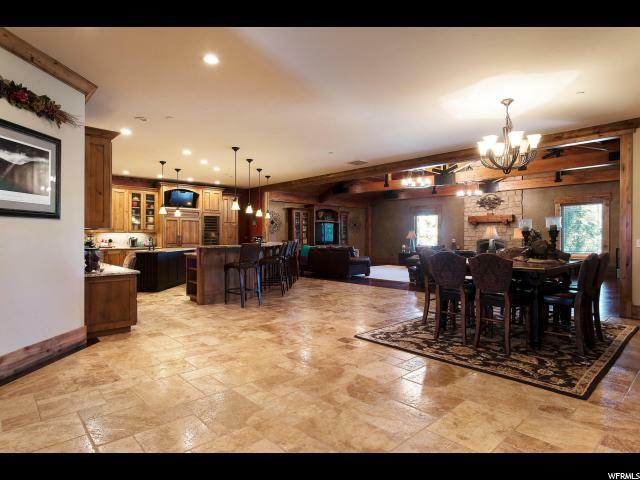 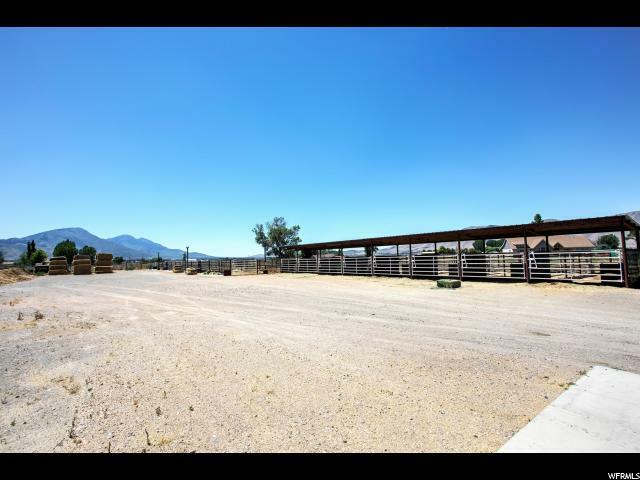 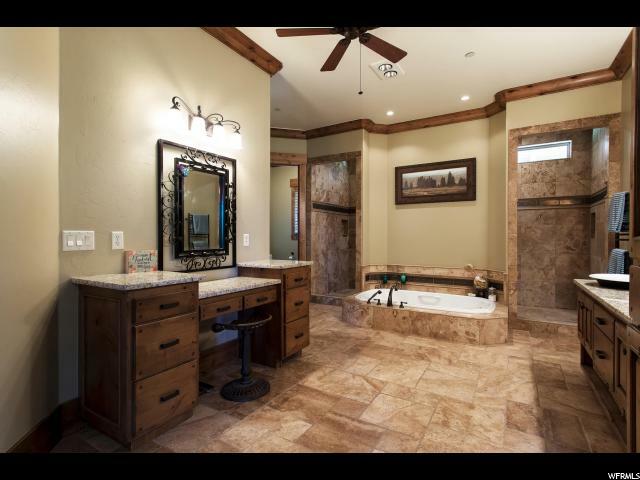 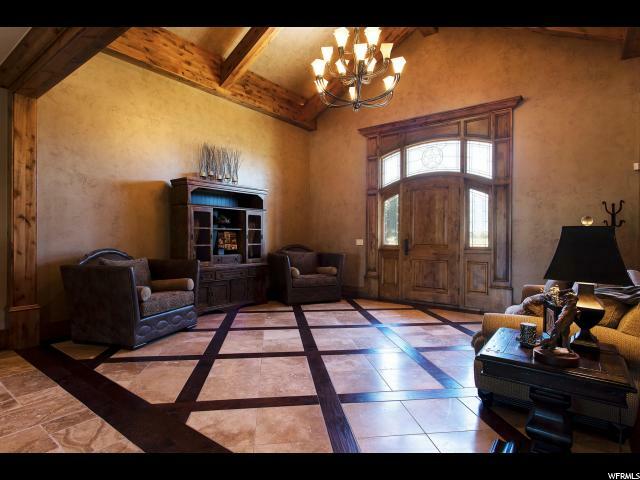 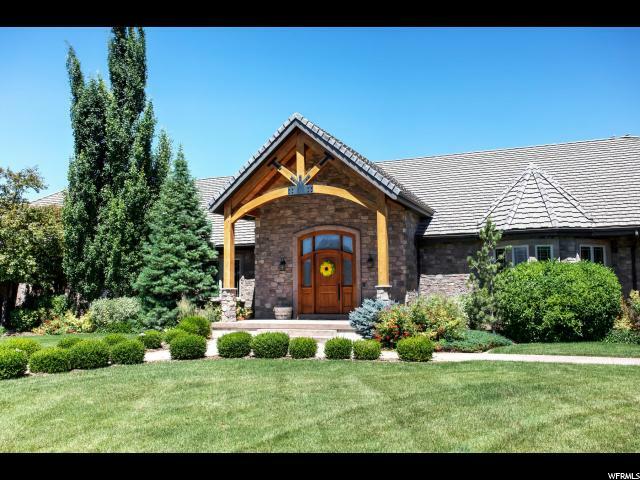 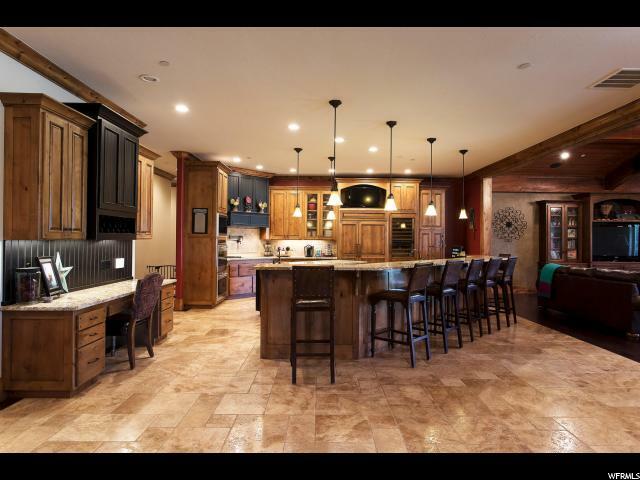 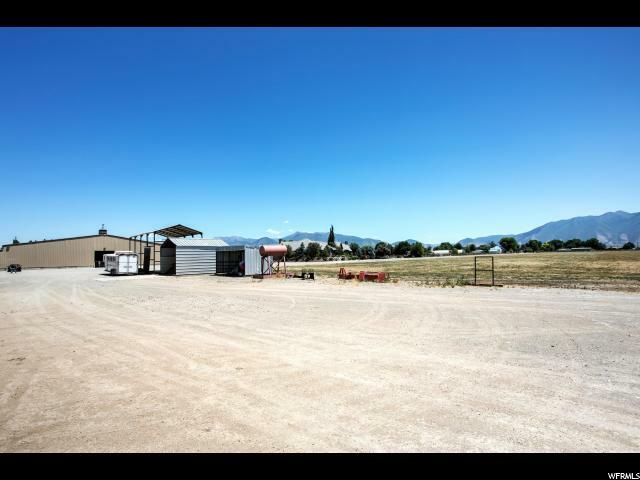 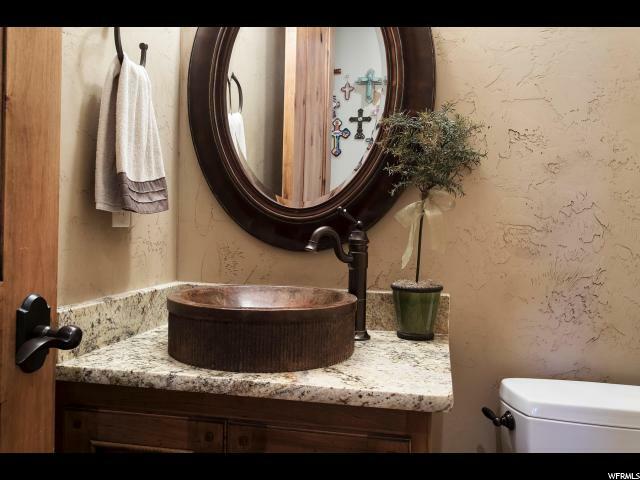 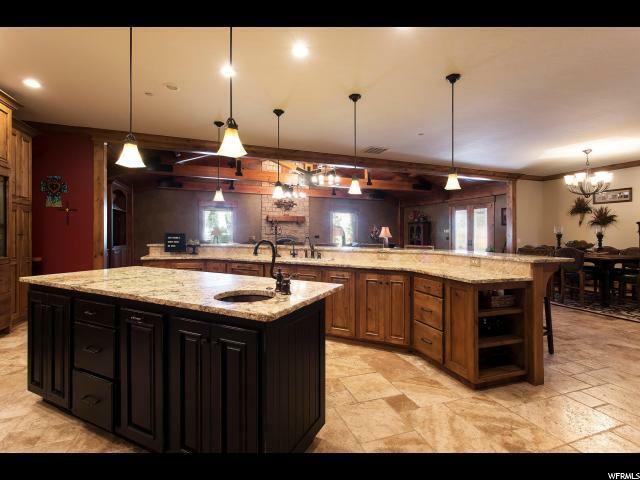 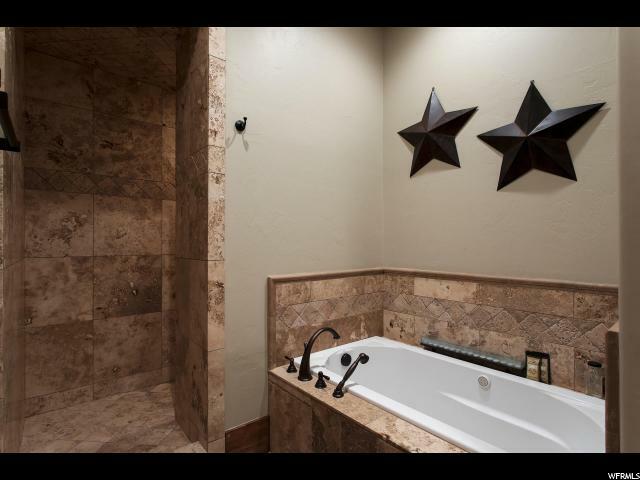 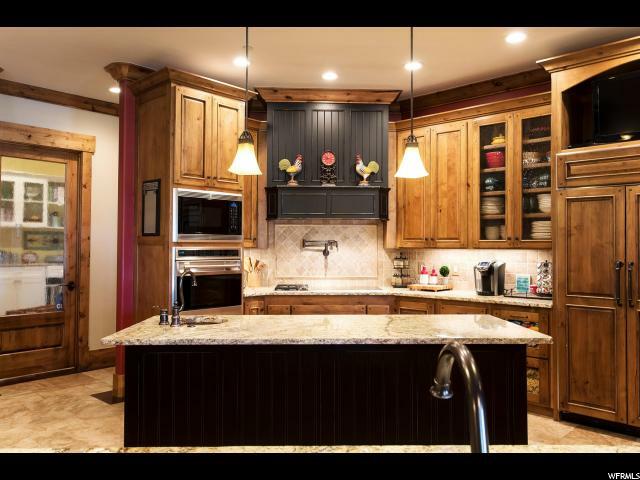 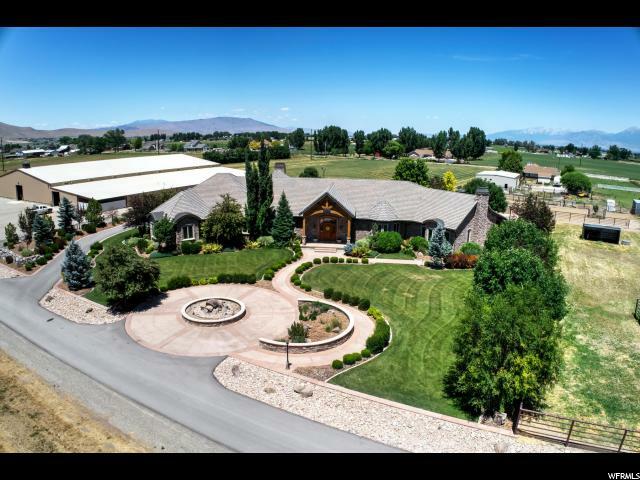 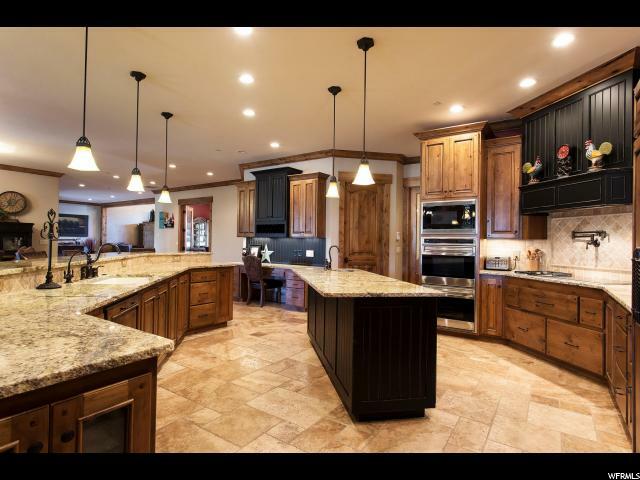 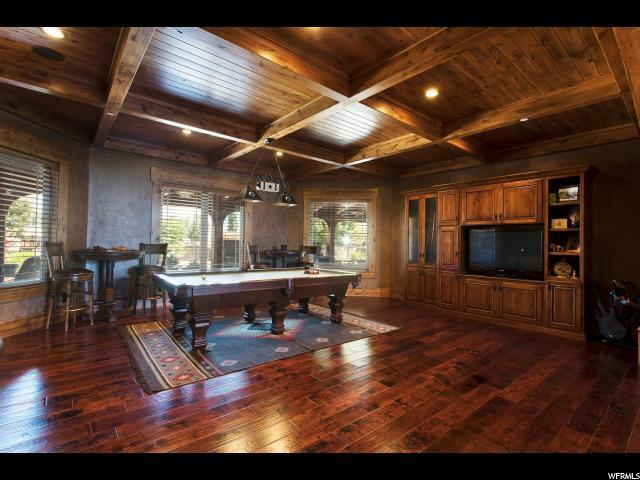 This single floor home feels like a world of it's own on over 14 acres of beautiful horse property. 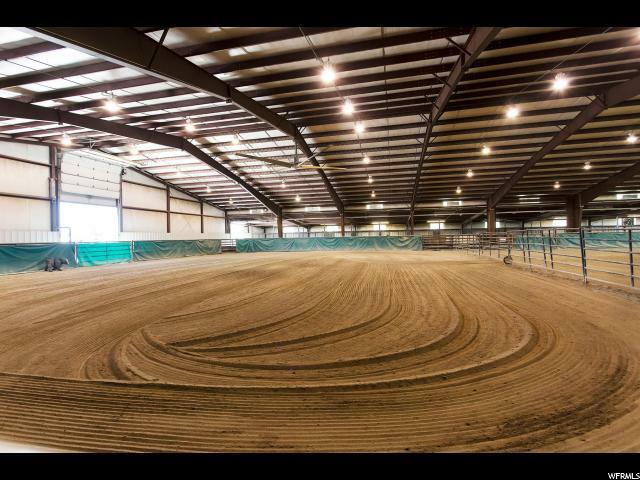 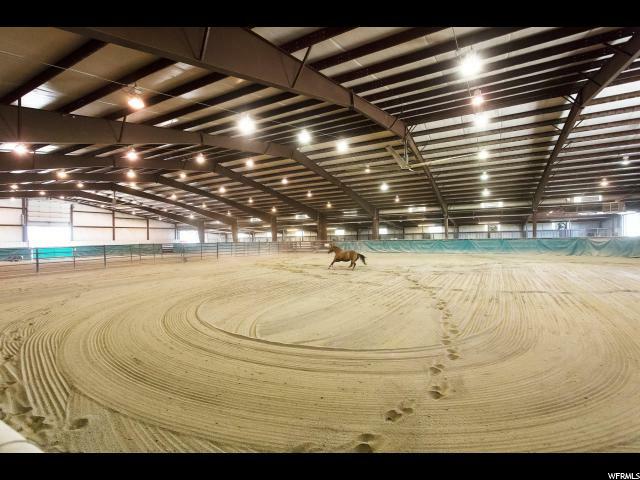 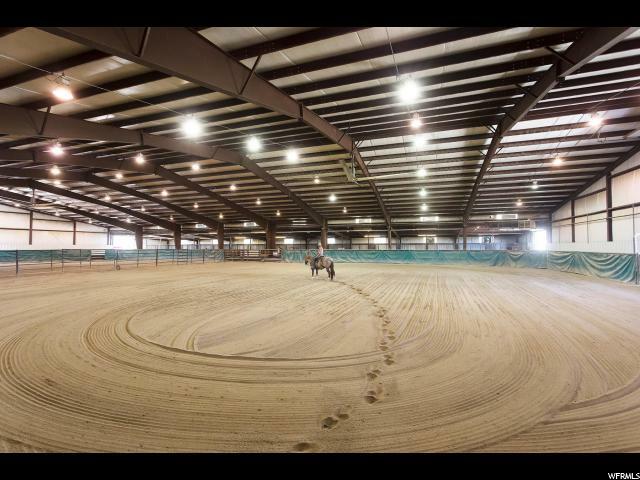 Ride year round; with a 40,000 square foot fully enclosed, climate controlled arena. 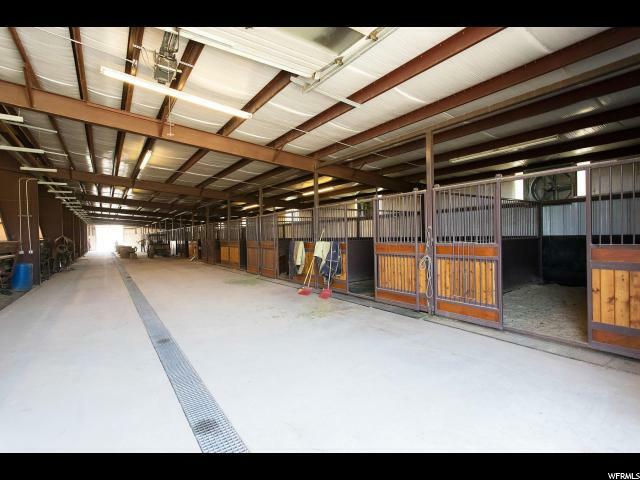 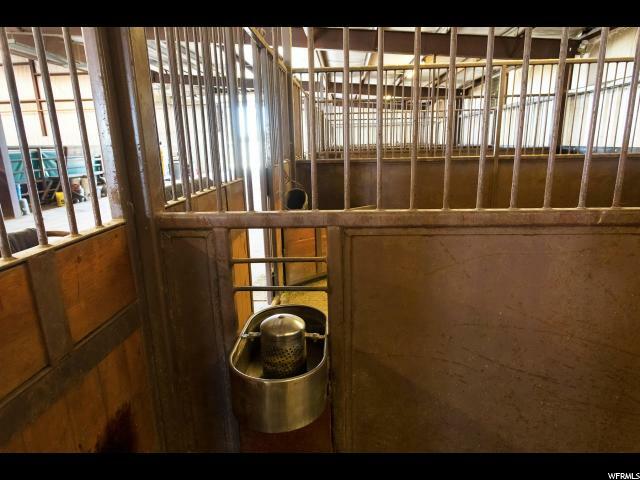 Wired for both 220V & 110V and filled with 26-12.5' x17.5' Stalls as well as 1-21'x17' Foaling Stall all with custom hinged fronts and heated auto waterers. 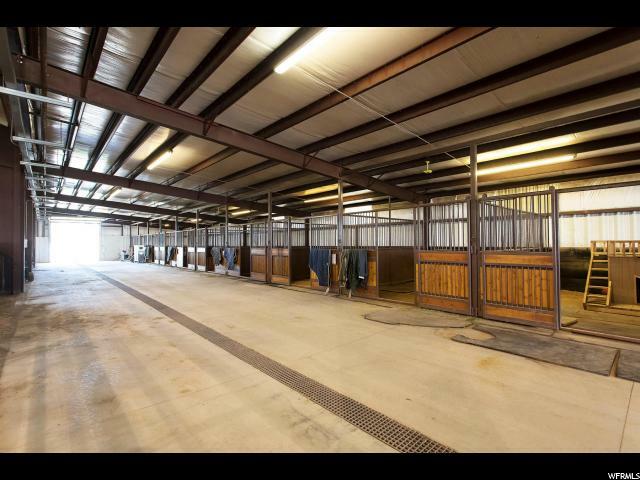 12 exterior paddocks, a 20' leanto with a professional dog boarding facility and office. 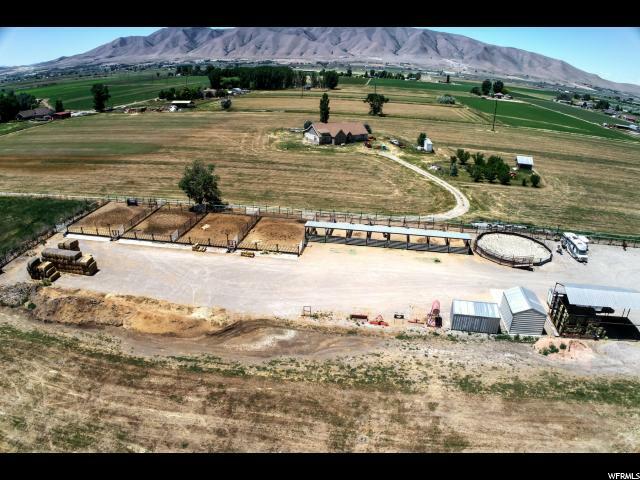 A natural Artesian well and 19 shares of water ensure that the property is well maintained with water and never in short supply. 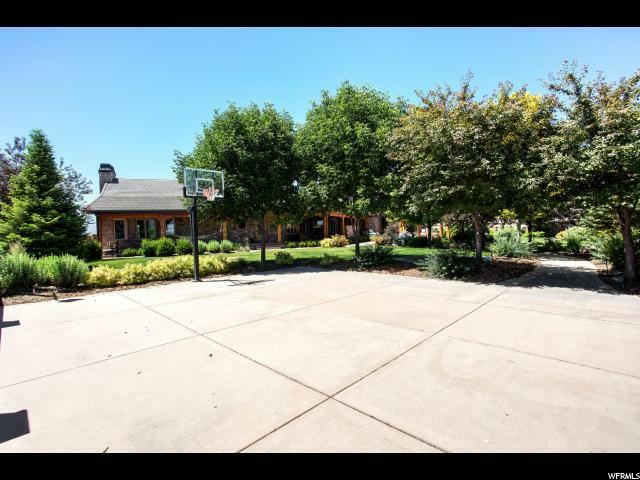 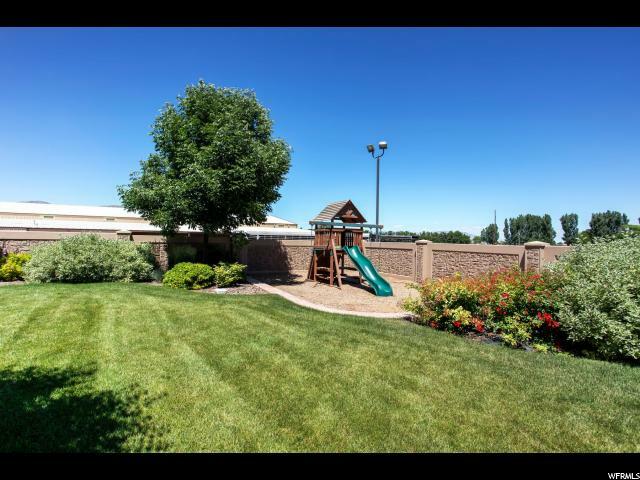 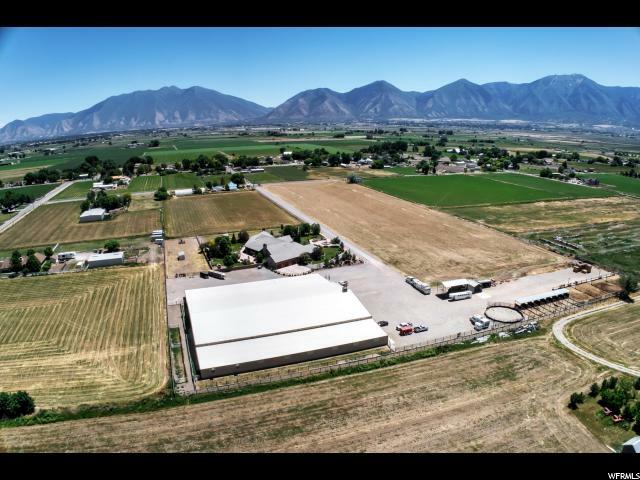 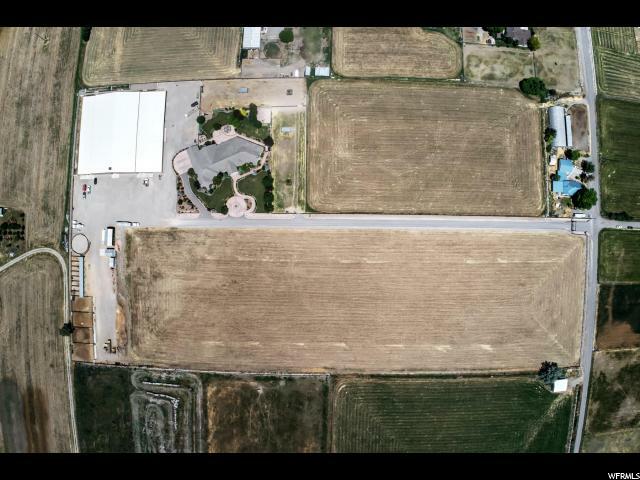 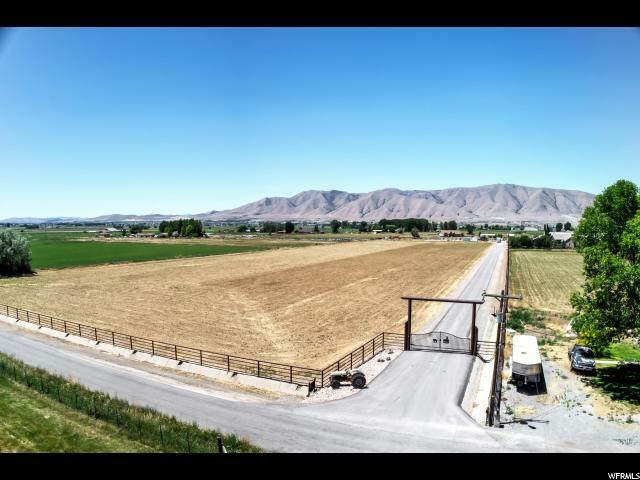 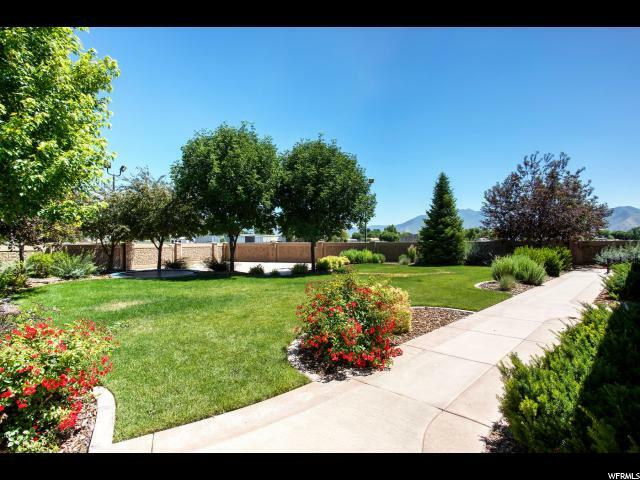 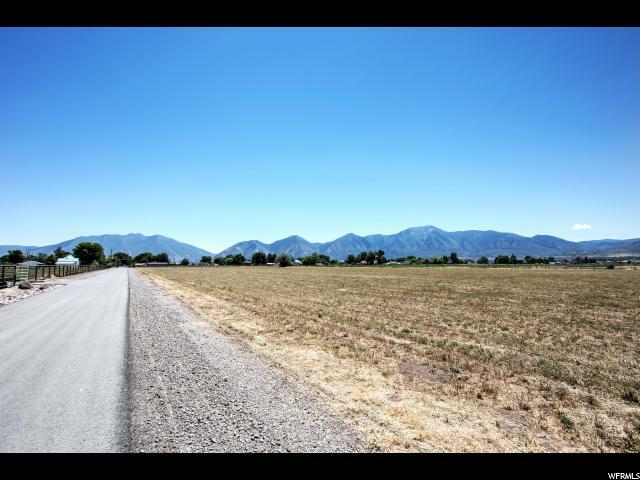 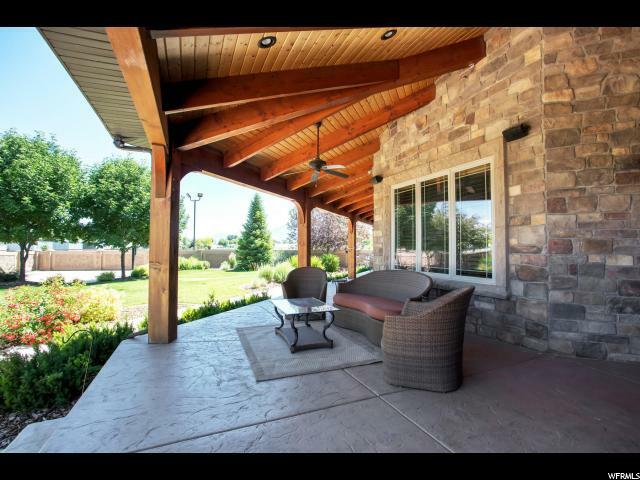 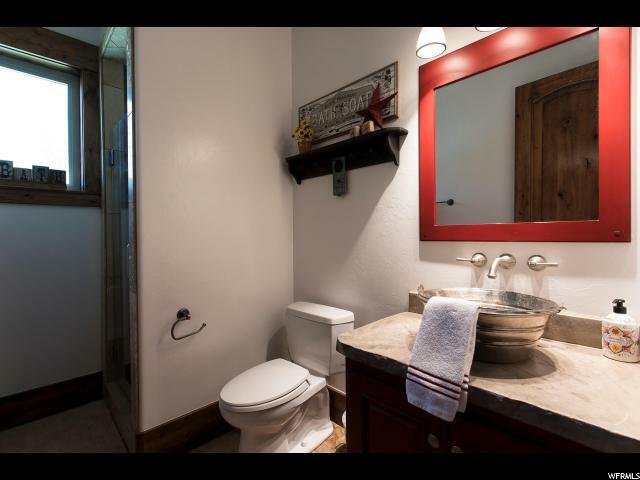 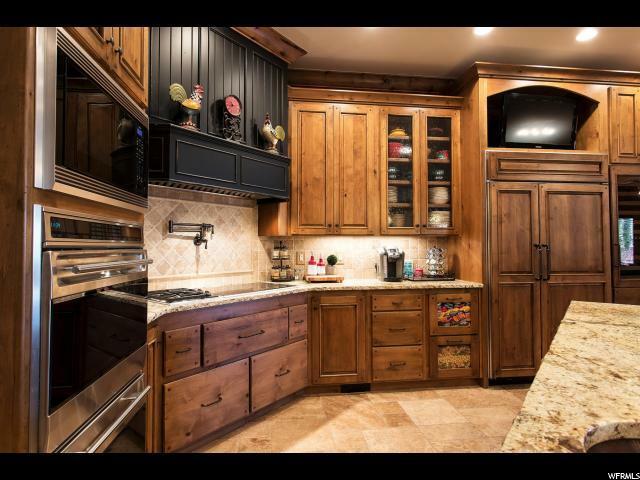 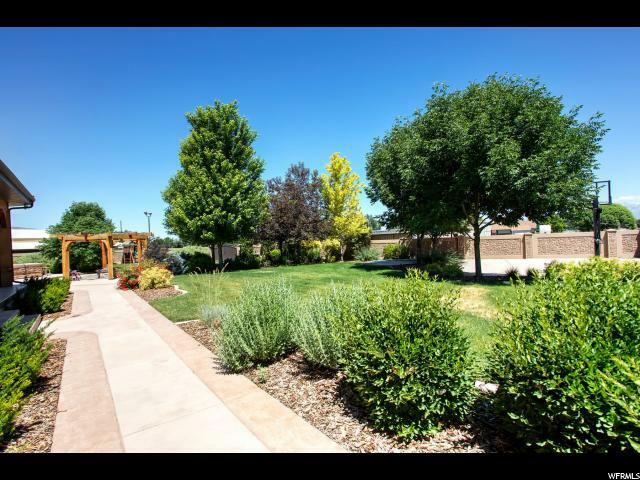 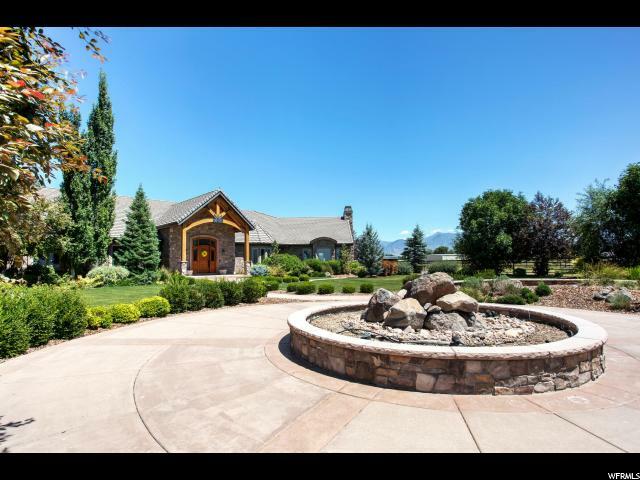 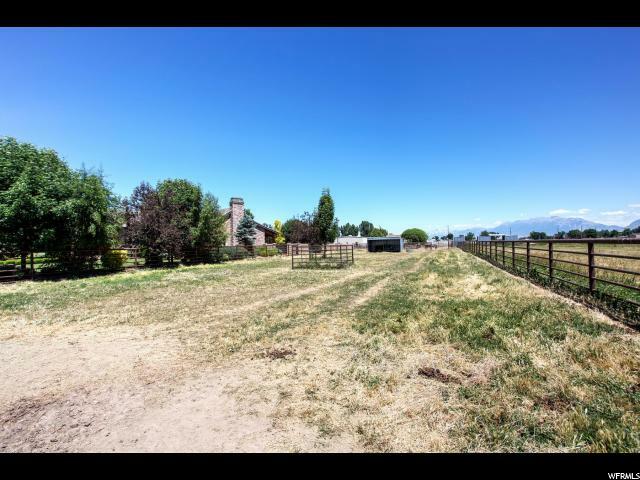 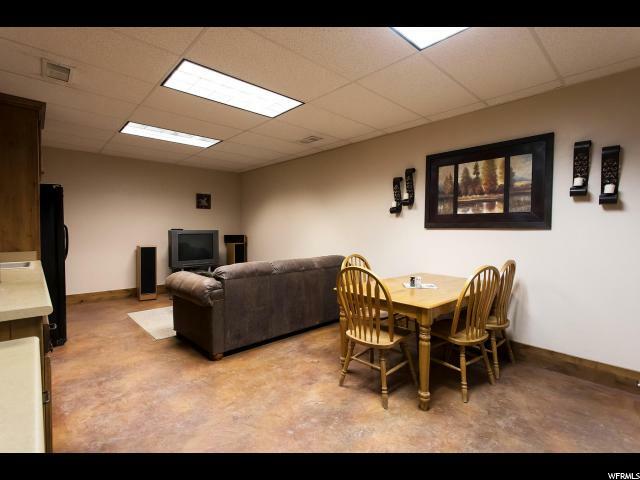 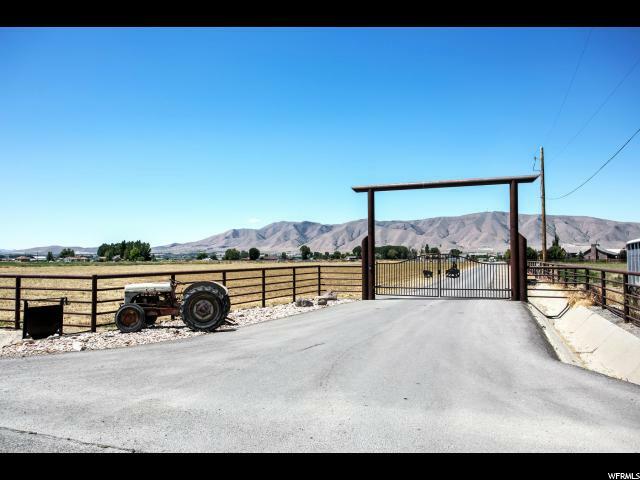 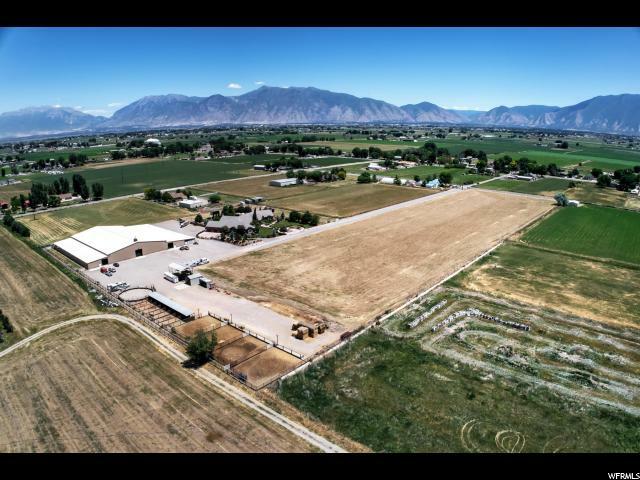 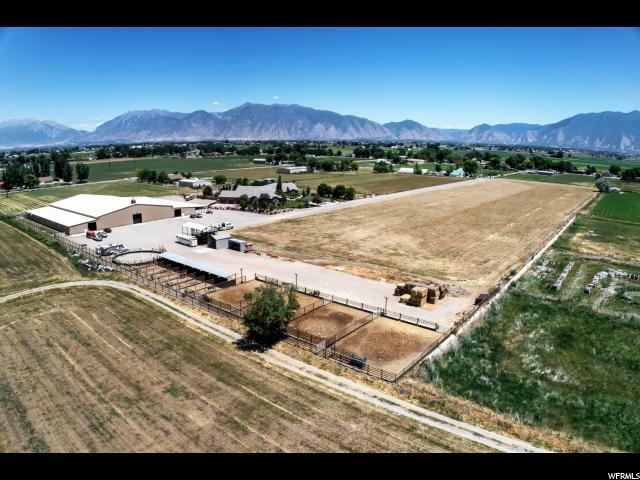 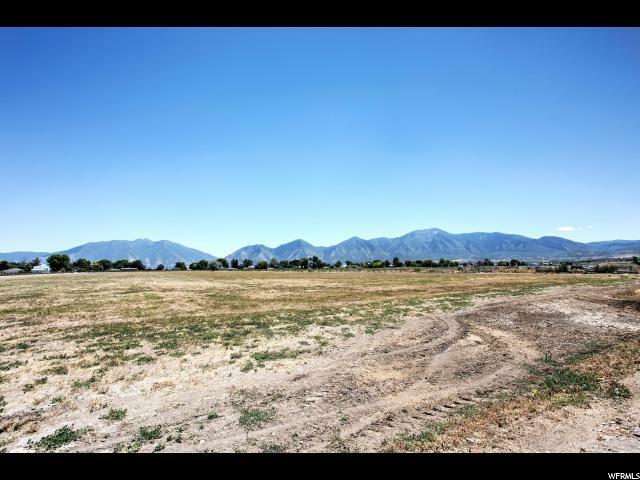 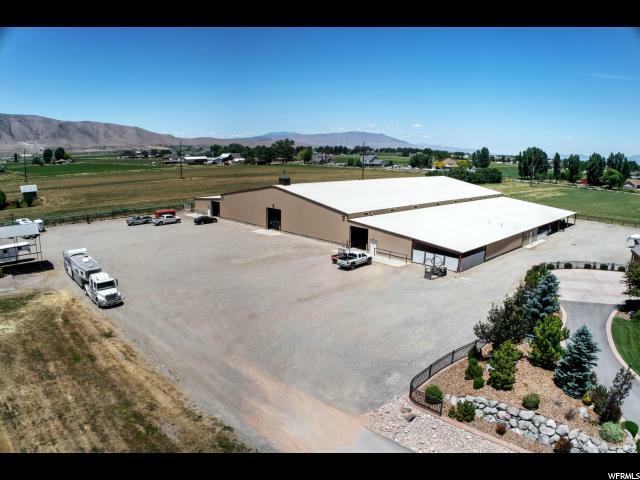 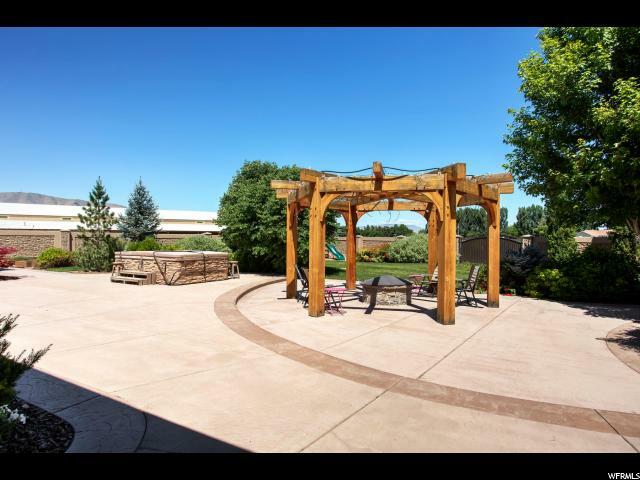 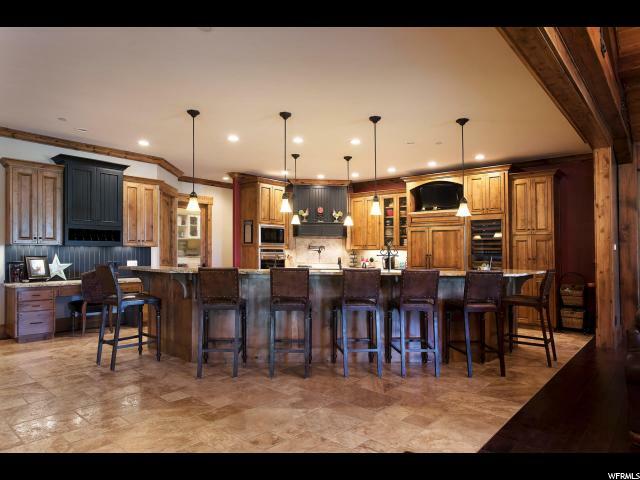 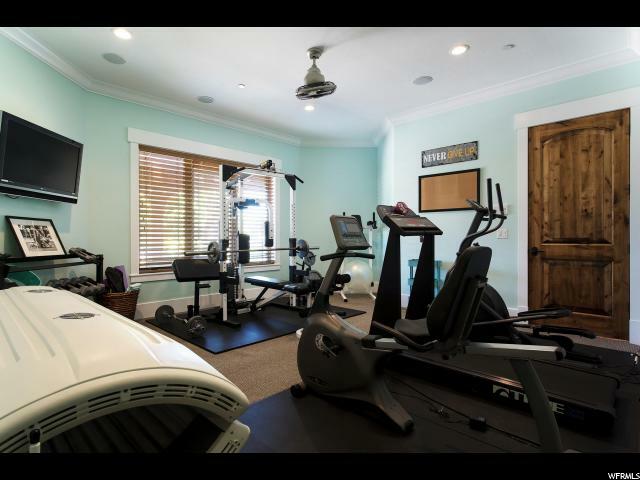 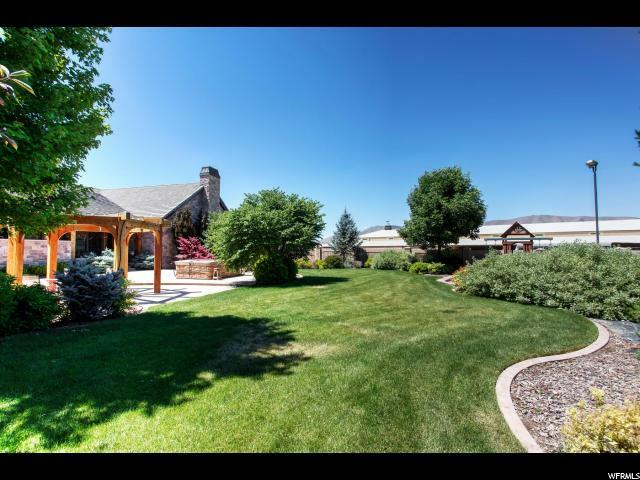 Living in Benjamin offers all the amenities of modern living, with shops and restaurants in Spanish Fork just 10 minutes away, while maintaining the serenity of luxury country living on your own private estate.